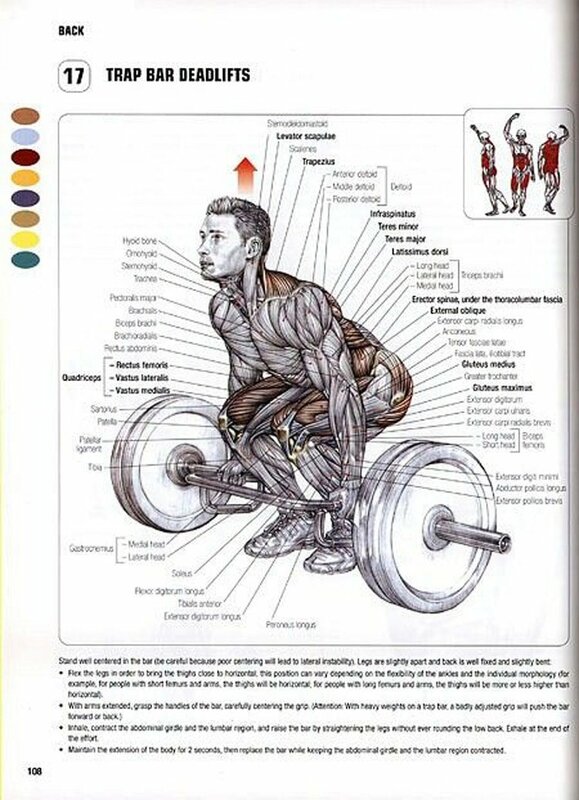 The Hex Bar Deadlift benefits an enormous amount of muscle as you can see in the above diagram credit to Powerlifting Motivation on Pinterest. Especially if you are looking for an alternative to the conventional deadlift. The deadlift is one of the most powerful exercises of all time. Some say that the deadlift is the king of all exercises for many reasons that you can read about here. What if you are looking for an alternative to the straight bar deadlift? Do you have any other options? This is where the hexagon shaped bar come into play. This is also known as a hexagonal barbell or trap bar. Hence the names, hex bar or trap bar deadlift. It is true that there are those who say that hex bar deadlifts are not deadlifts at all. The conventional deadlift puts much of the stress on your back, hamstrings and glutes, besides so many other muscles in your body. On the other hand, the trap bar put more of the stress on the same muscles as the squat. In fact, if you do not care for leg presses or squatting with weight loaded onto your upper back, you can use a trap bar deadlifts to target the same muscles. Hex bar deadlifts can be used as a reverse squat. As well as for shoulder shrugs. However, since it targets so many of the same muscle groups as the deadlift, it is fair to say that the hex bar deadlift is an excellent deadlift alternative. An olympic barbell deadlift puts more stress on the back because the bar is further away from your hips. Hex bar deadlifts can help you build a stronger physique with less risk of injury to your back. This is because your hips are right in the middle of the hex bar. As a result, the weights are closer to your center of gravity. This reduces the stress on your back and spine. As a result of the reduced stress on your back, you will be able to lift more weight with hex bar deadlifts than the straight barbell deadlift. Heavier weights can lead you to get stronger faster with less chance of back injury. Some powerlifters report that they can add up to 50 to 100 pounds more weight doing the hex bar deadlift. The hex bar deadlift benefits beginners. Good form for deadlifting and weightlifting in general is critical. Achieving good form using the hex is easier than perfect form with a barbell deadlift which is a higher level of difficulty. The hex bar deadlift benefits people who already have a back issue or injury. In this case, you can test if doing hex bar deadlifts is possible despite your back injury or instability. You have a much better chance that you can still perform deadlifts with a hex bar. They are the best alternative to barbell deadlifts when you have a back injury. Hex bar deadlifts benefit the same muscle groups as the deadlift. Therefore, it is an excellent substitute for the barbell deadlift. You can still build overall body strength without doing barbell deadlifts. People ask if there are other effective total body exercises to build overall body strength other than the barbell deadlift. For many people, the barbell deadlift is uncomfortable because the weight is far out in front of your hips. For some people, the barbell deadlift is not only uncomfortable, but it even bothers their back, sometimes to the point of potential injury. While hex bar deadlifts engage the same muscle groups as the barbell deadlift, more of the stress is placed on the quadriceps, the front of your legs and less on the lower back, hamstrings and glutes. Because you will experience less stress on your back, glutes and hamstrings, some people might be able to build even more strength and power by doing hex bar deadlifts. It is easier to keep your back straight and neutral when doing hex bar deadlifts. This is good news for beginners and individuals who do not have as much mobility. The hex bar opens the door to training for even individuals who have been sitting at their desk all day and night and now want to get into shape. 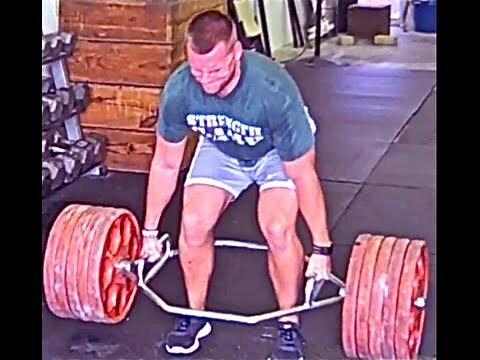 There is no reason that you cannot use hex bar deadlifts for your traditional or beginner barbell deadlift workout program. The hex bar deadlift will allow you to lift heavier weight with less stress on your back. The hex bar deadlift will also let you train your quadriceps and calves more than you will get from regular deadlifts. So, add some variety to your deadlift workout by incorporating the hex bar deadlift into your deadlift program for beginner fitness or powerlifting. Because of the muscles worked with the hex bar deadlift, you might find that the hex bar deadlift is a reasonable substitute for squats. If you do not like having weight on the back of your shoulder when doing squats, you can opt for the hex bar deadlift to build lower body strength. Hex bar deadlifts are fantastic for people who don't have a coach or personal trainer to help them master the technical aspects of a standard deadlift. But, if you are serious about powerlifting competitions, then the barbell deadlift is for you. Even if you continue to do mainly barbell deadlift workouts, you can still do the hex bar deadlift for variety and to get the feel of even heavier deadlifts. 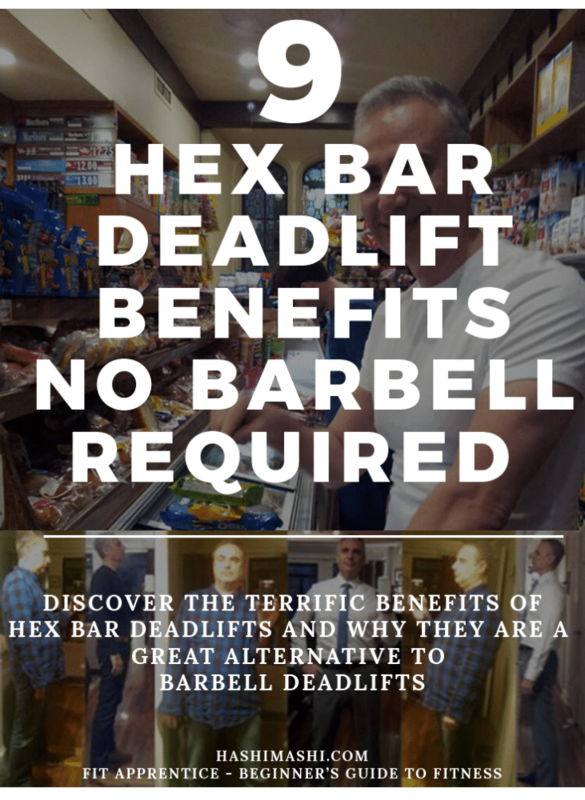 Do you have additional hex bar deadlift benefits to share?